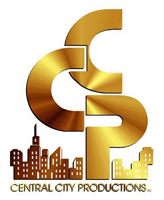 Central City Productions Digital Media also known as CCP Digital Media creates stunning interactive websites to help small business grow to their maximum potential and beyond. A fantastic web design combined with effective internet marketing can drive insane amount of leads to any business. When you partner with CCP Digital Media, businesses are ensured of sustainable and optimized results. Whether you are a local or a national company or only a startup, tailor-made digital marketing solutions that work for your industry will help you grow. If you are looking for a company that will help your business reach to it’s potential then look no further. Fill the contact form, and our representative will schedule a meeting with you.